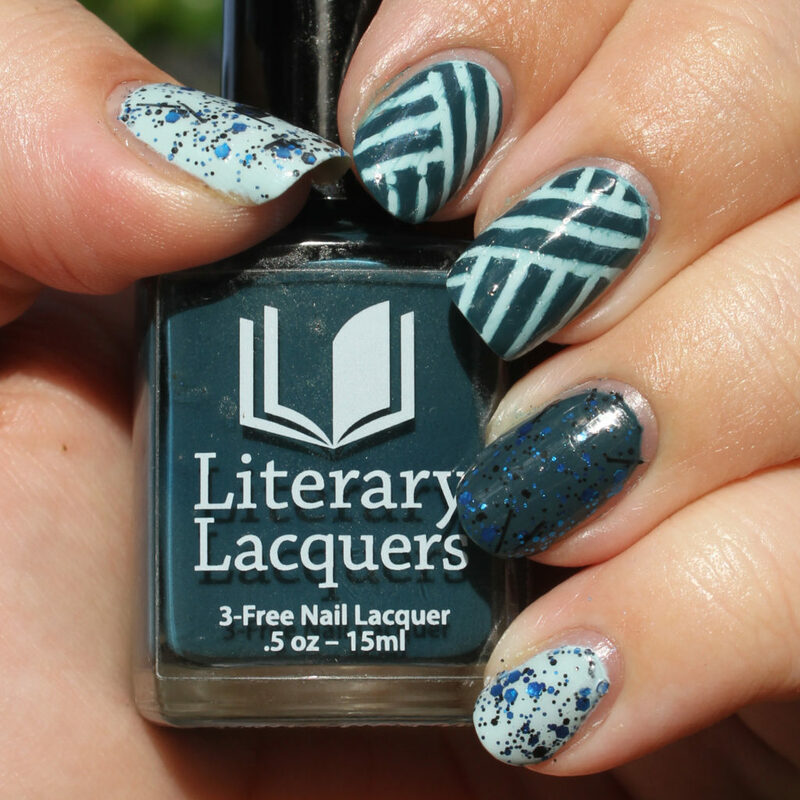 Hello, reader! 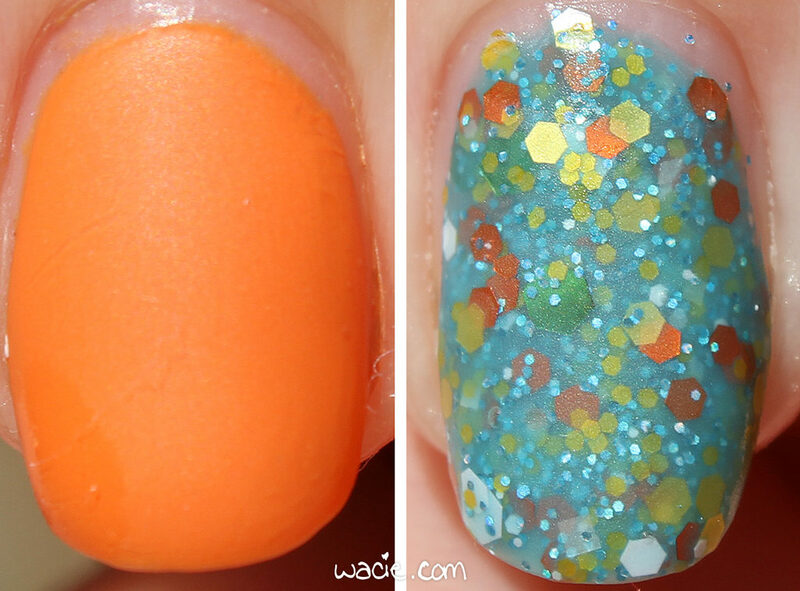 Now that the Indie Shop stuff is out of the way, we’re back to our regularly-scheduled weekend swatches. 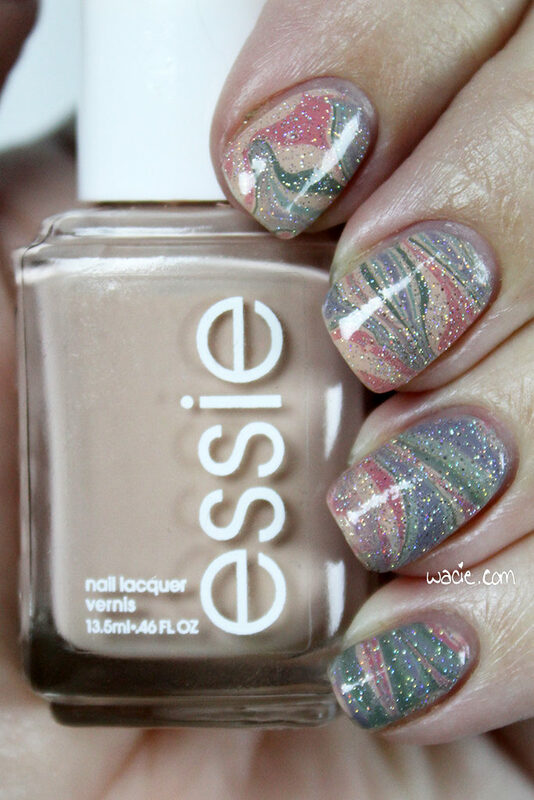 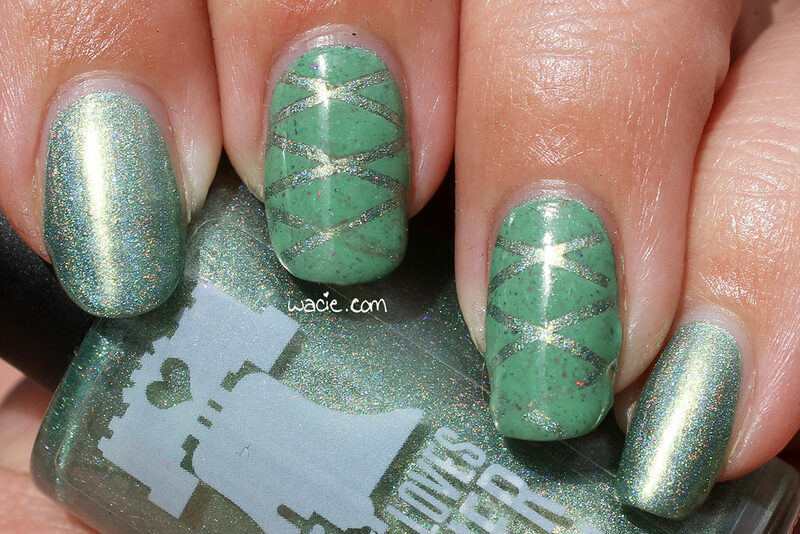 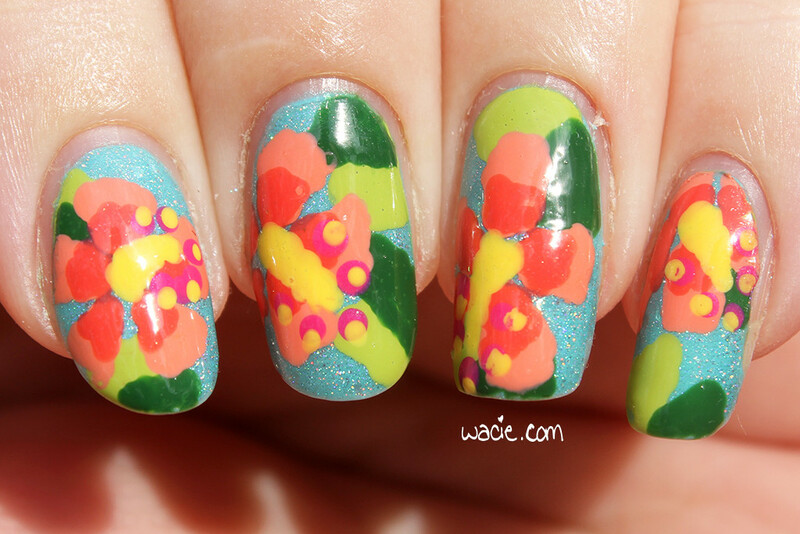 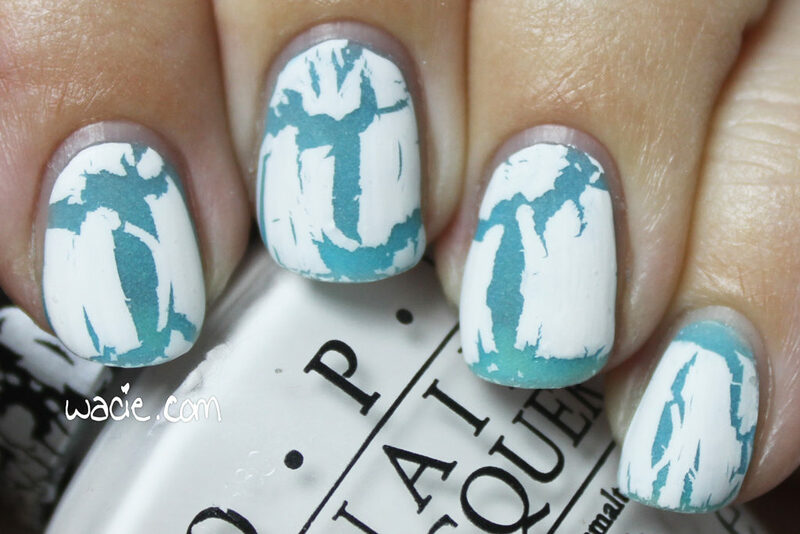 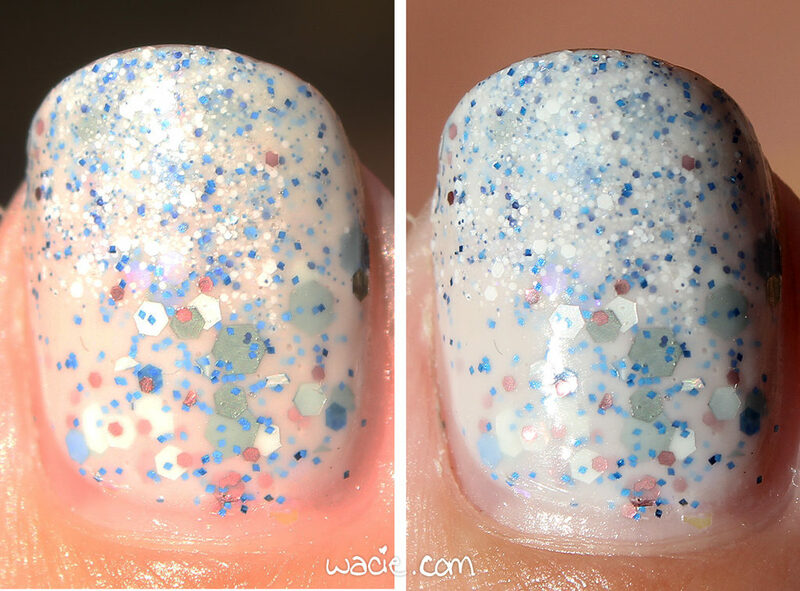 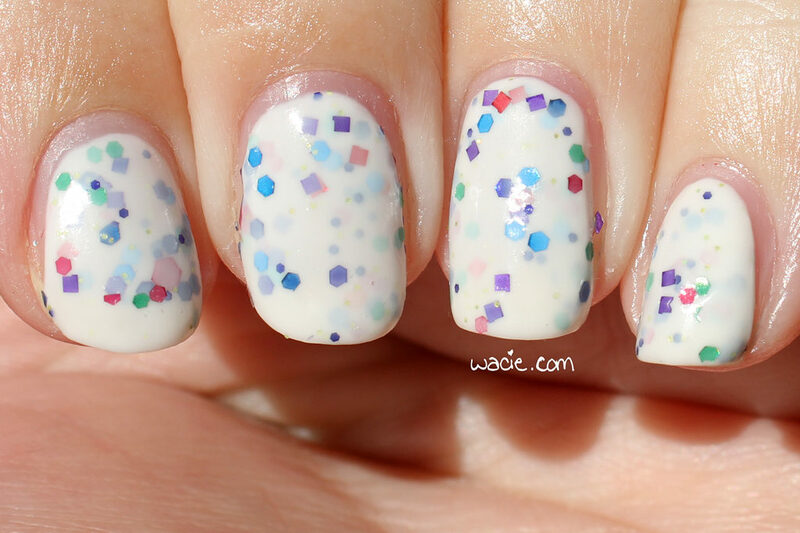 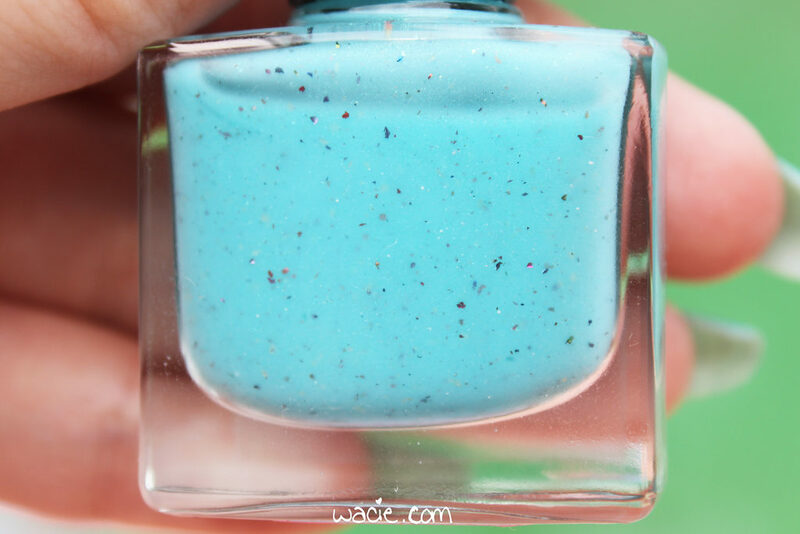 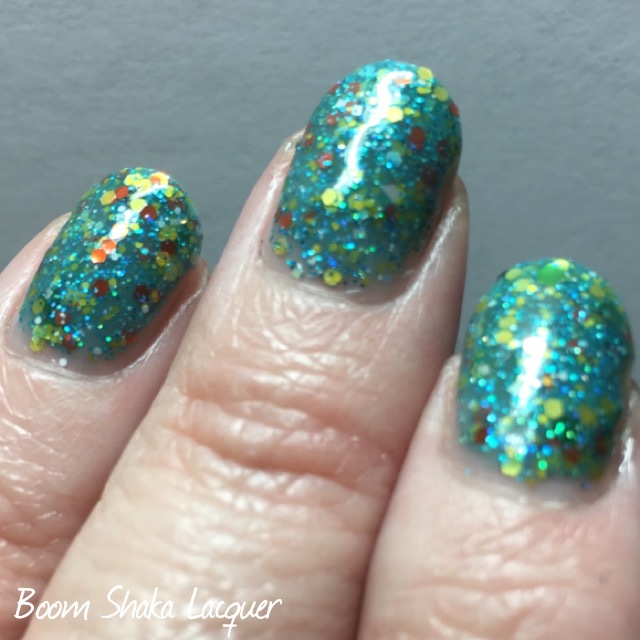 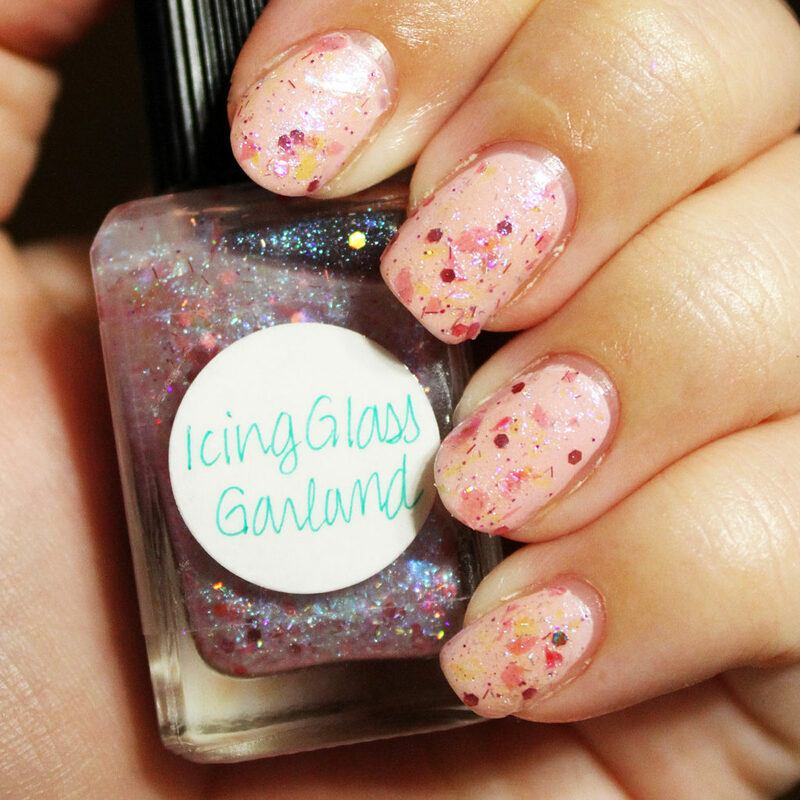 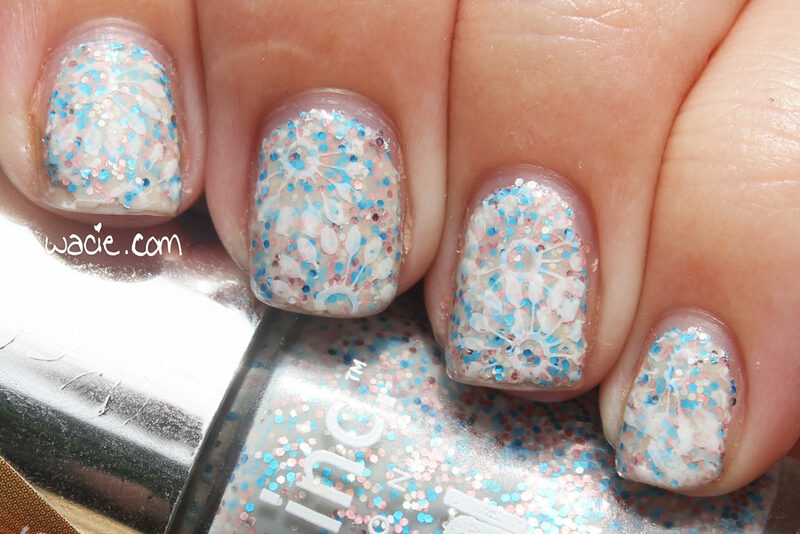 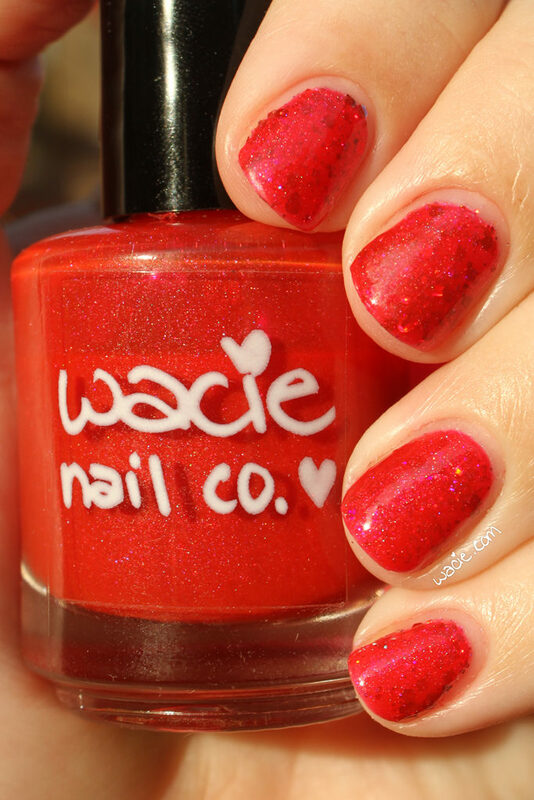 Today’s swatch is not an Indie Shop polish, but you will be seeing those in coming weeks. 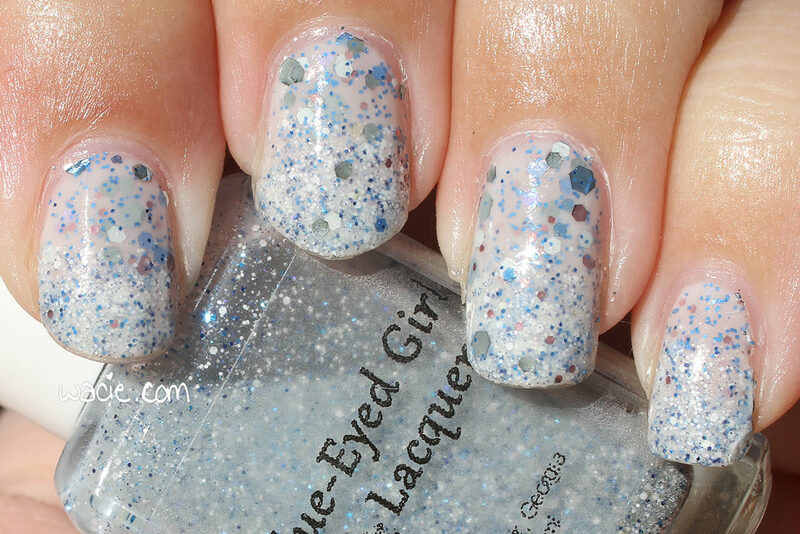 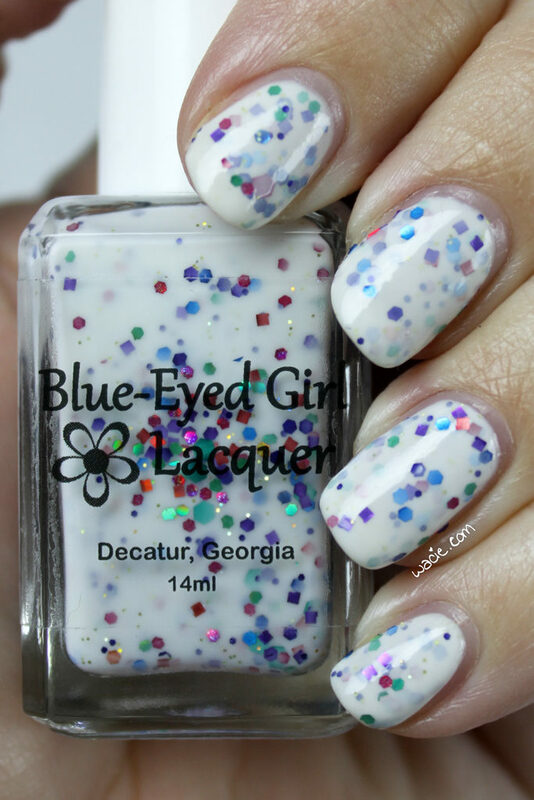 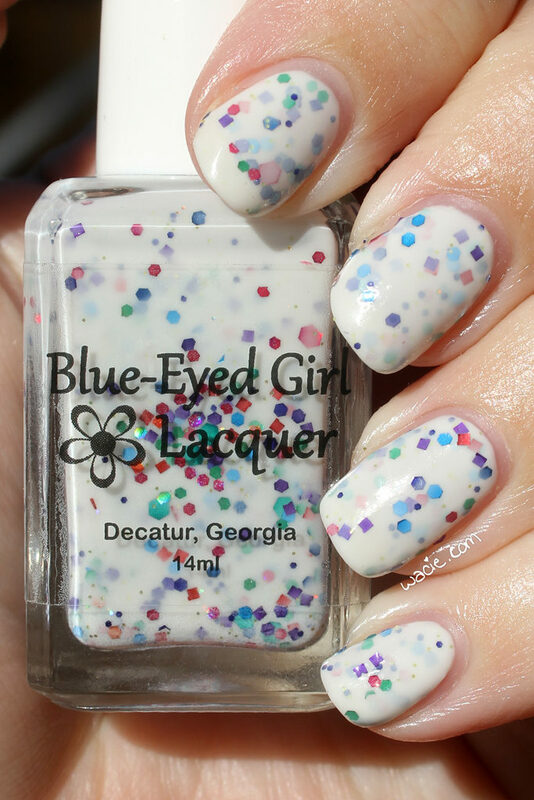 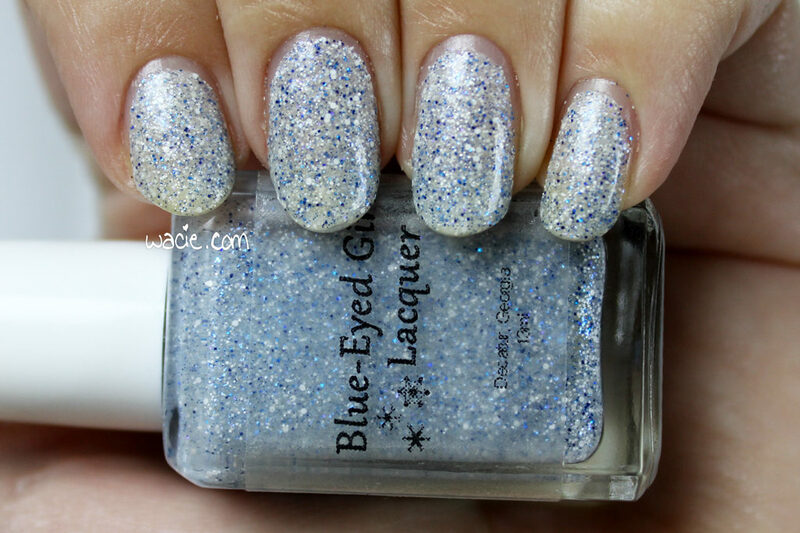 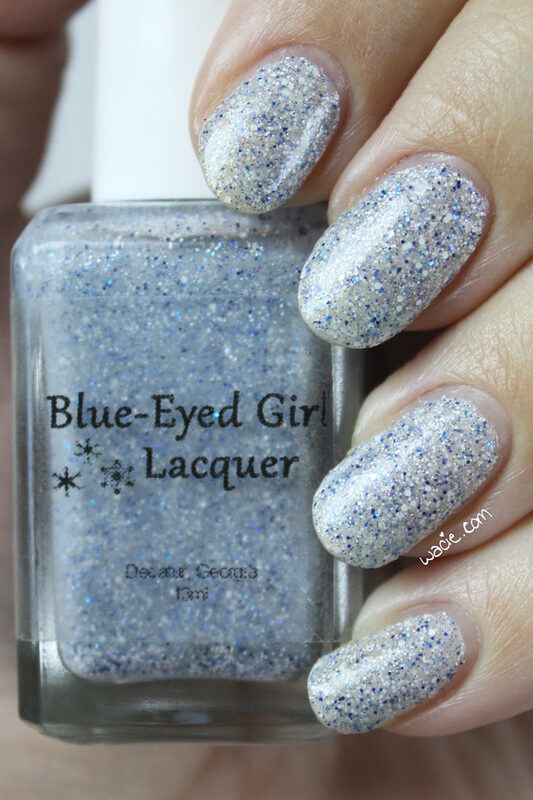 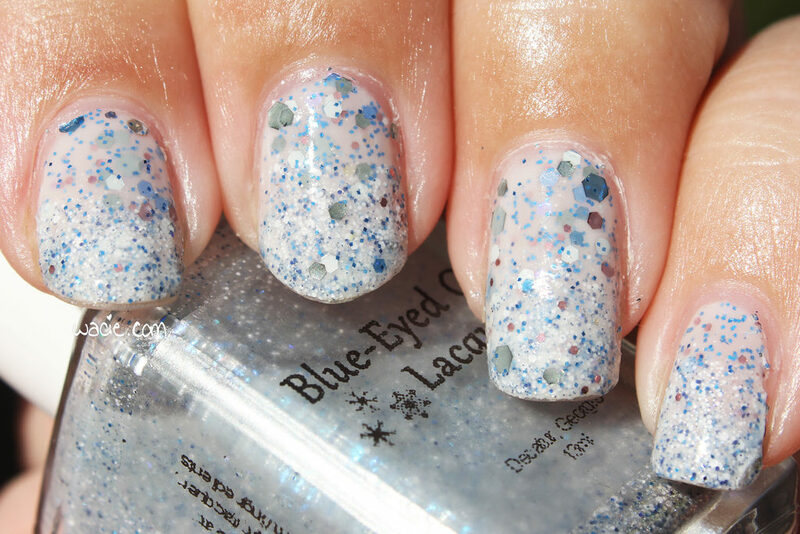 No, this is a Blue-Eyed Girl Lacquer prototype! 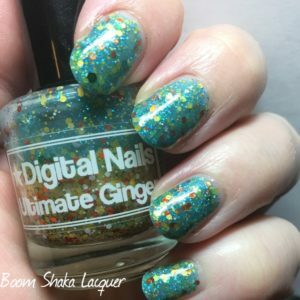 This is JS 1.2, and I’m wearing it at three coats with one coat of Seche Vive top coat. 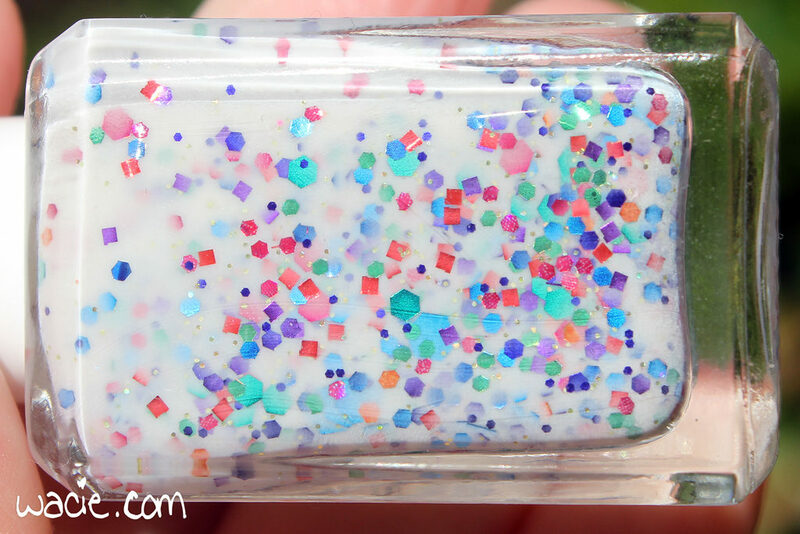 Prototype JS 1.2 is a white crelly with a colorful mix of glitters. 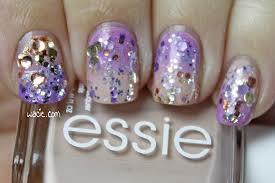 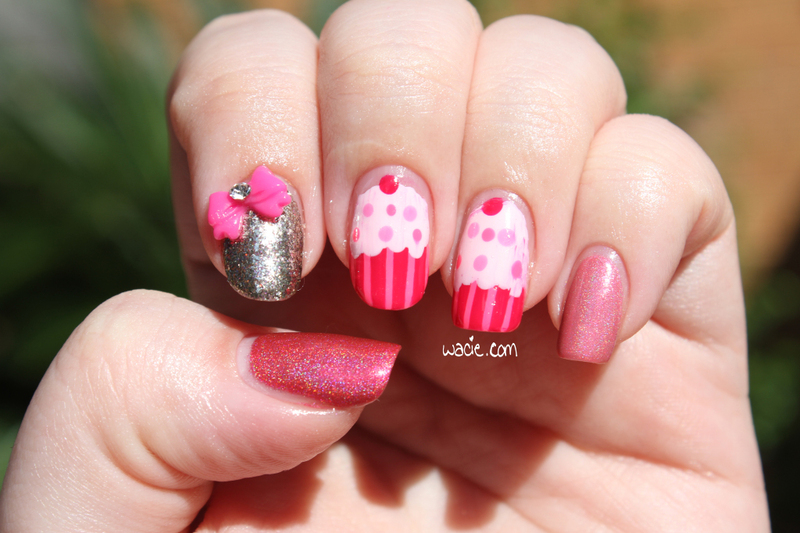 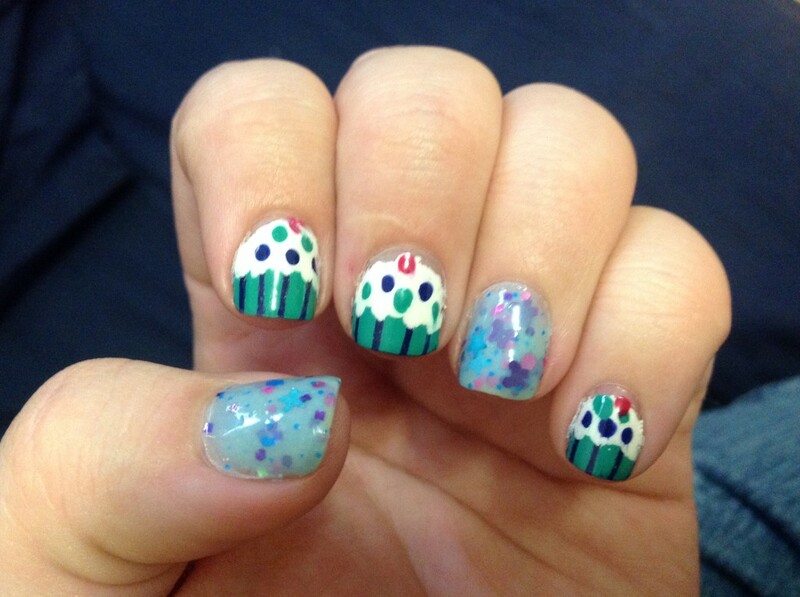 Application was easy; the product consistency was just right, and the glitters brushed on evenly. 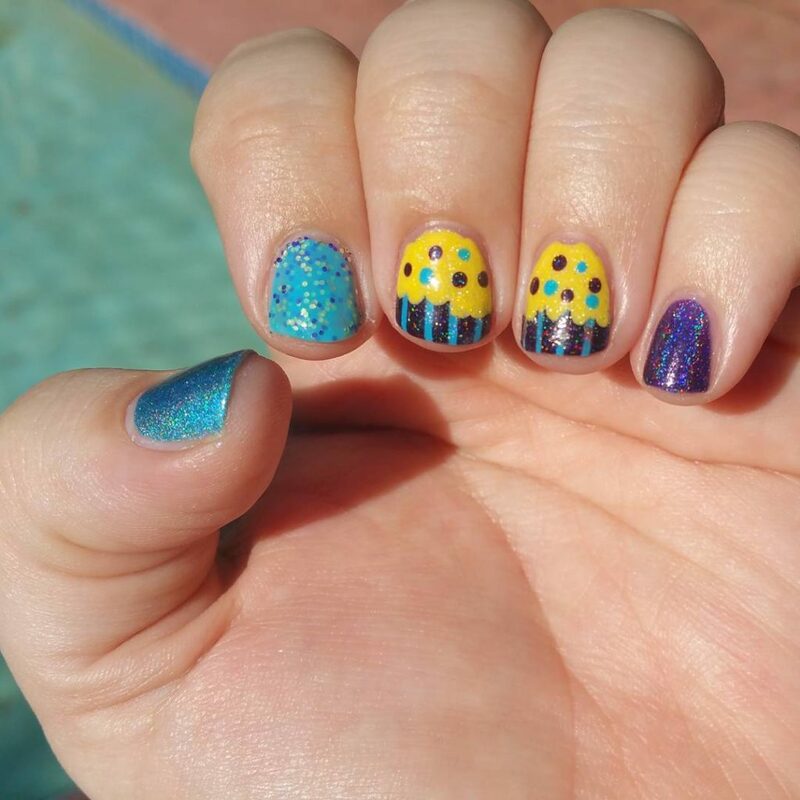 It doesn’t look like it in photos, however. 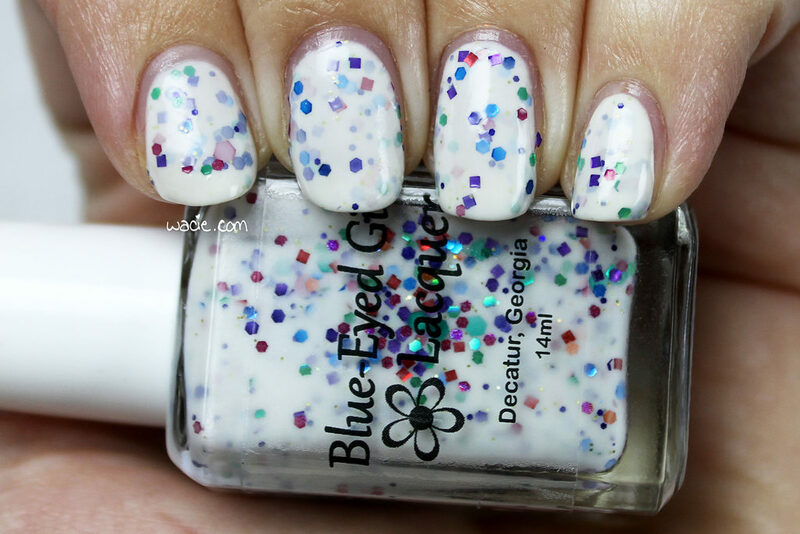 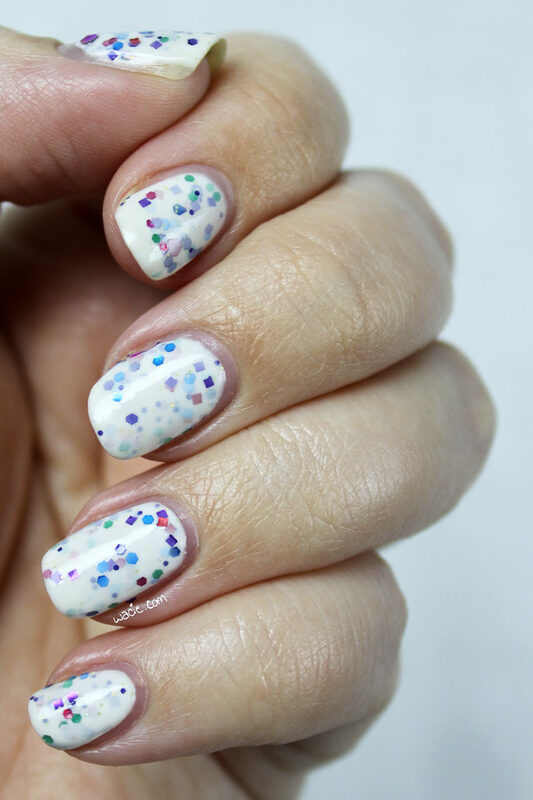 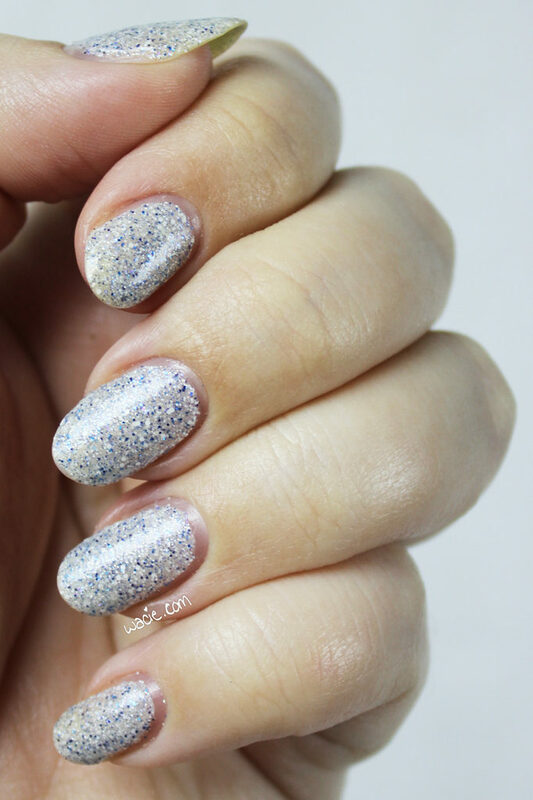 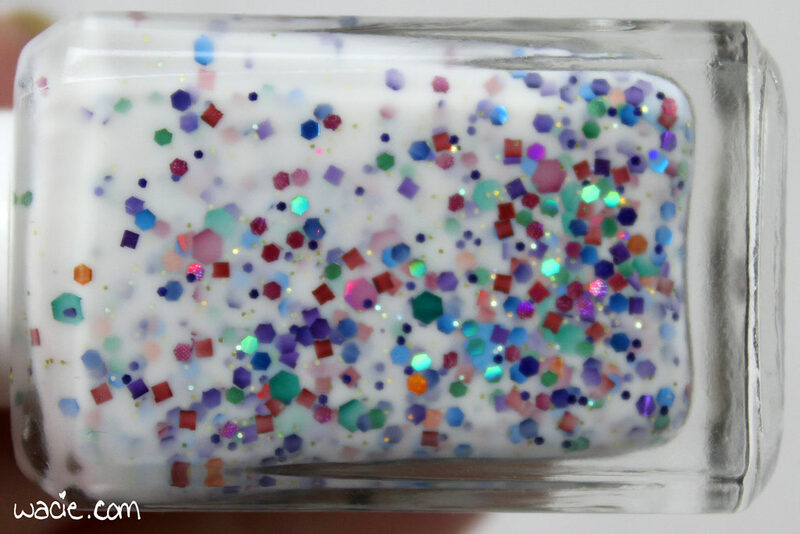 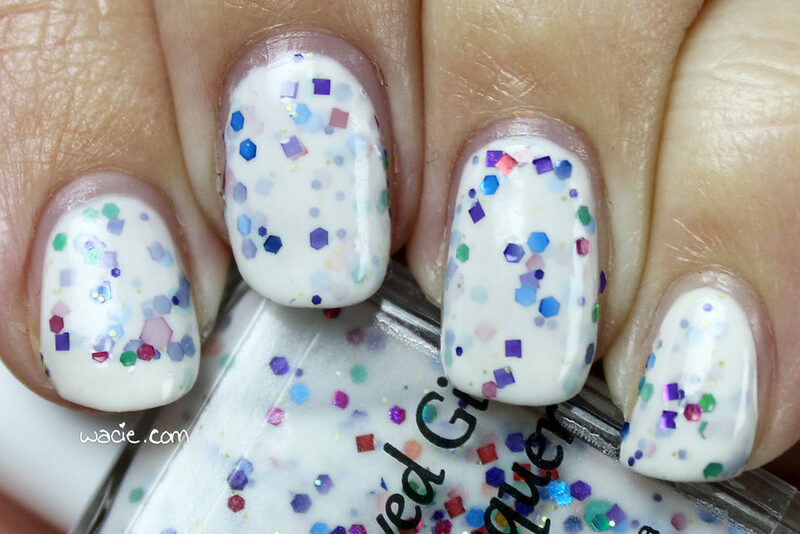 The white base is pretty opaque and obscures a lot of the glitters, so that classic translucent crelly look isn’t quite there. 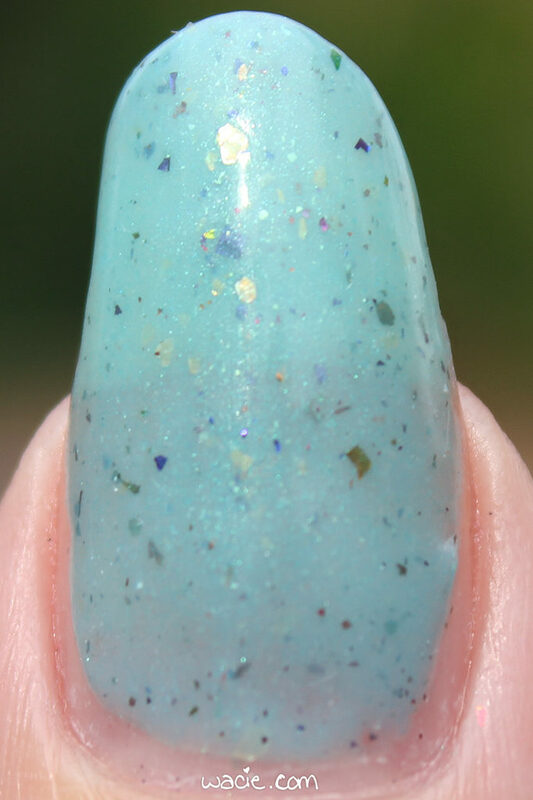 The polish dried with a glossy finish and was smooth to the touch. 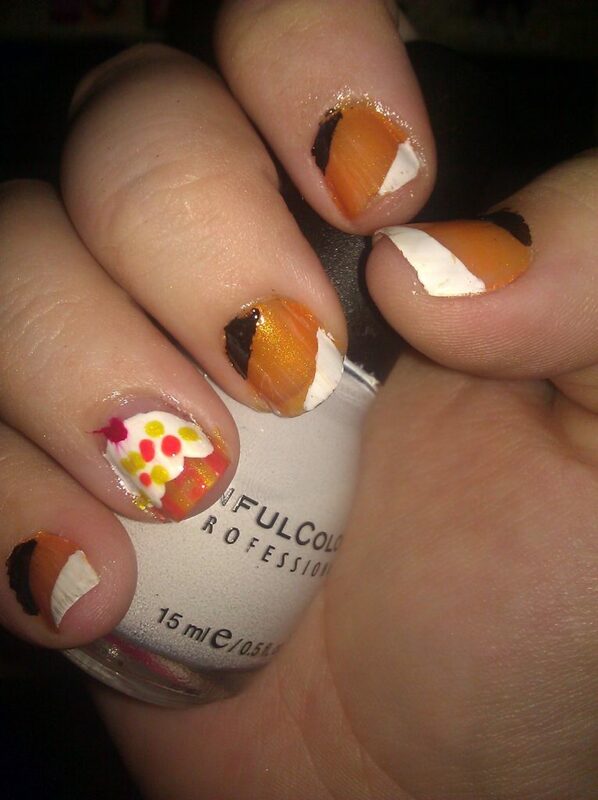 I used top coat for extra smoothness and shine. 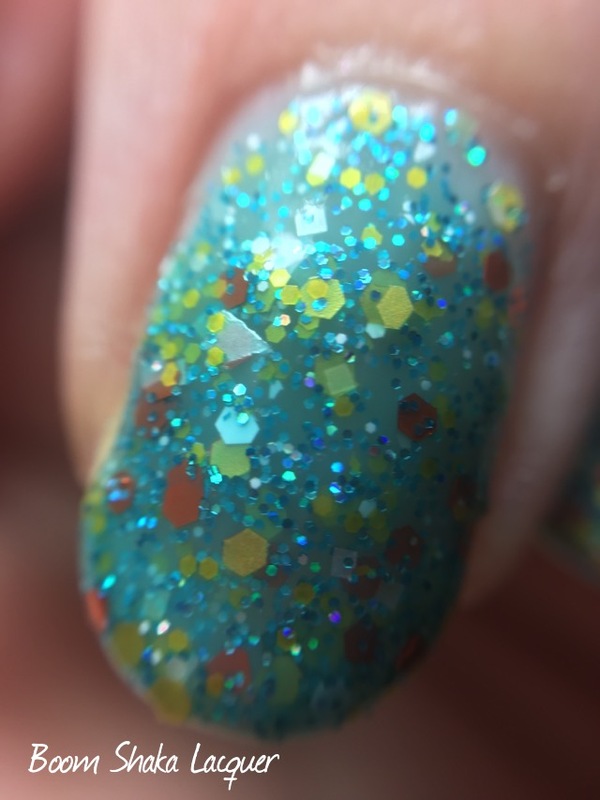 I don’t think I will ever get tired of crellies like this. I know I say this every time I wear one, but seriously, I still remember when these were the new hotness and every maker had tons of them. 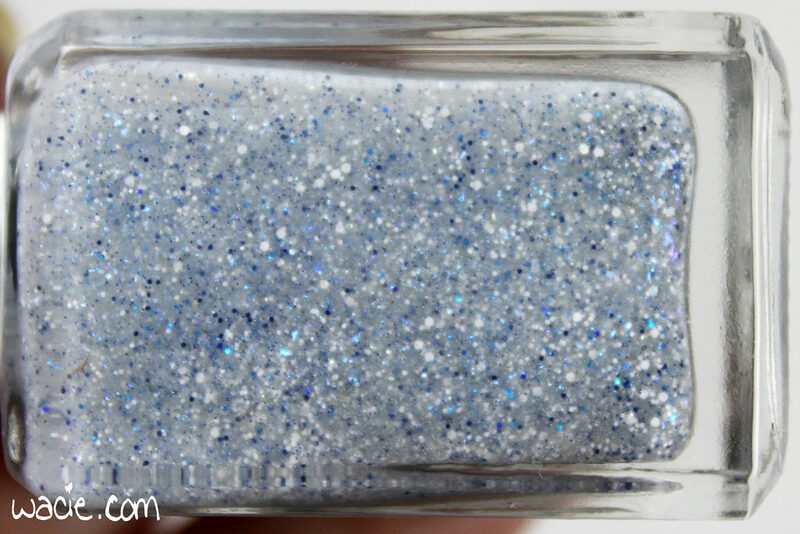 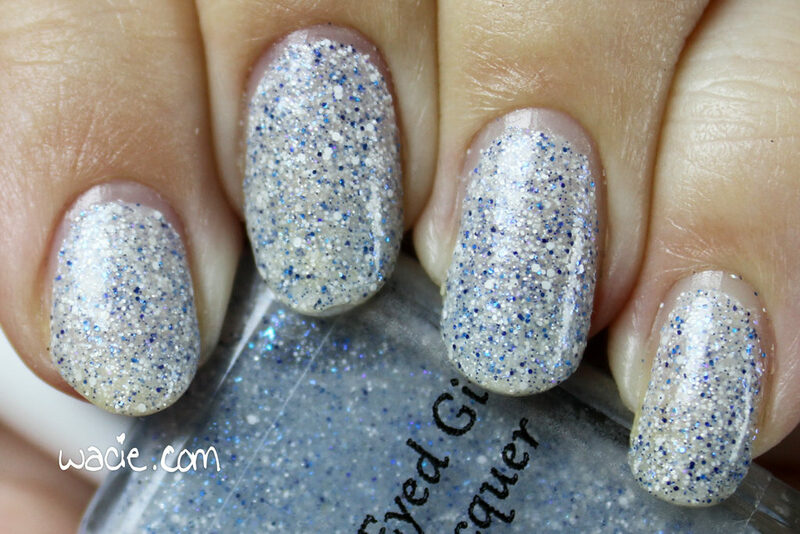 Makers are doing these gorgeous shifters and shimmers now, but the glitter crelly will always be my fave. 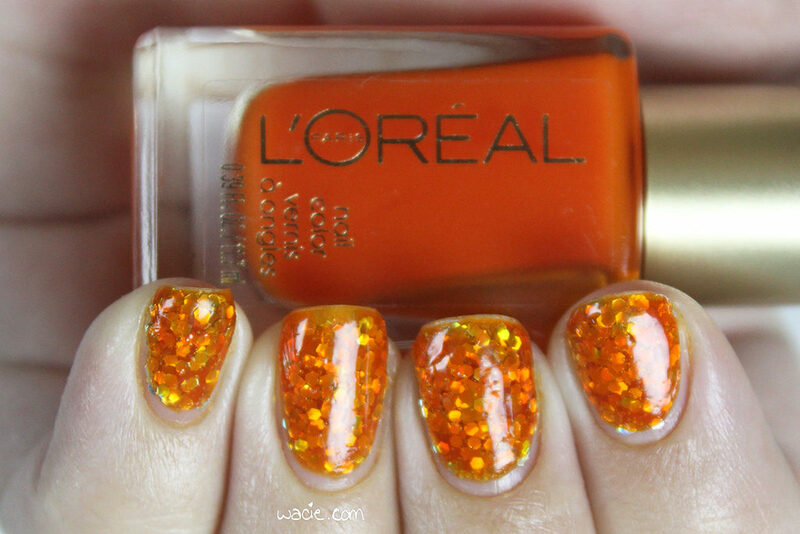 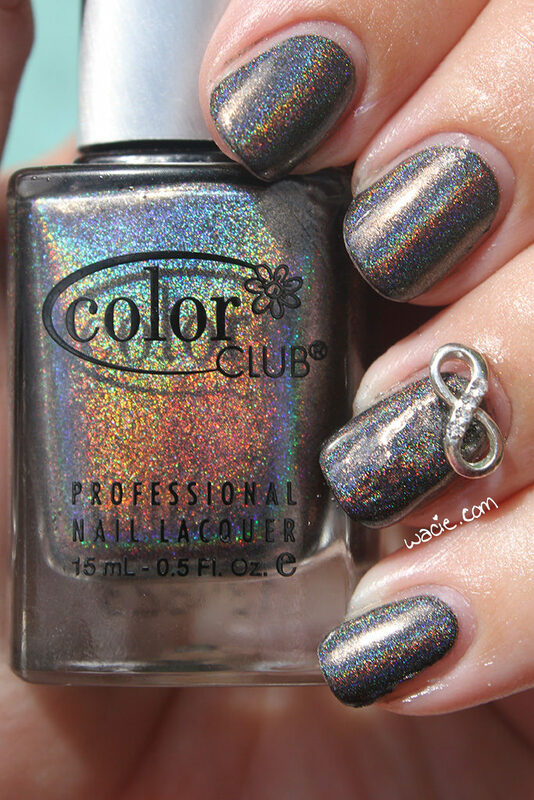 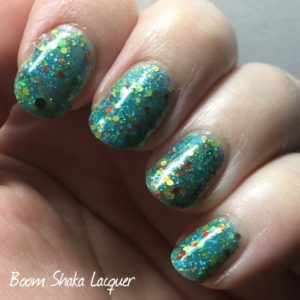 I probably didn’t need to take sunlight photos of this polish, it basically looks the same in both situations. 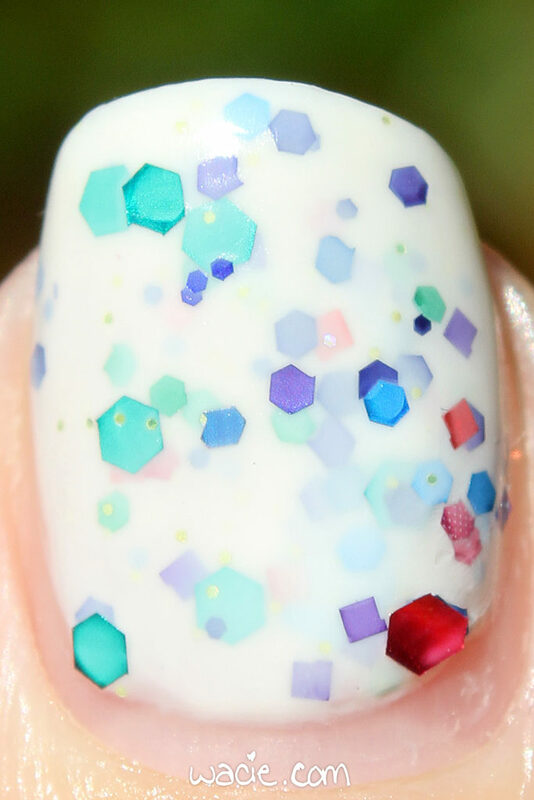 The following photos were taken outdoors. Prototype JS 1.2 was a one-off and I’ve got the only bottle. 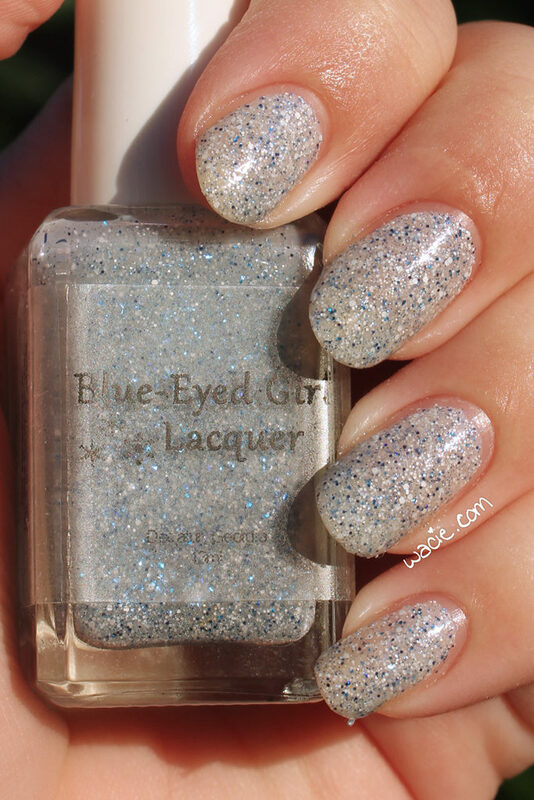 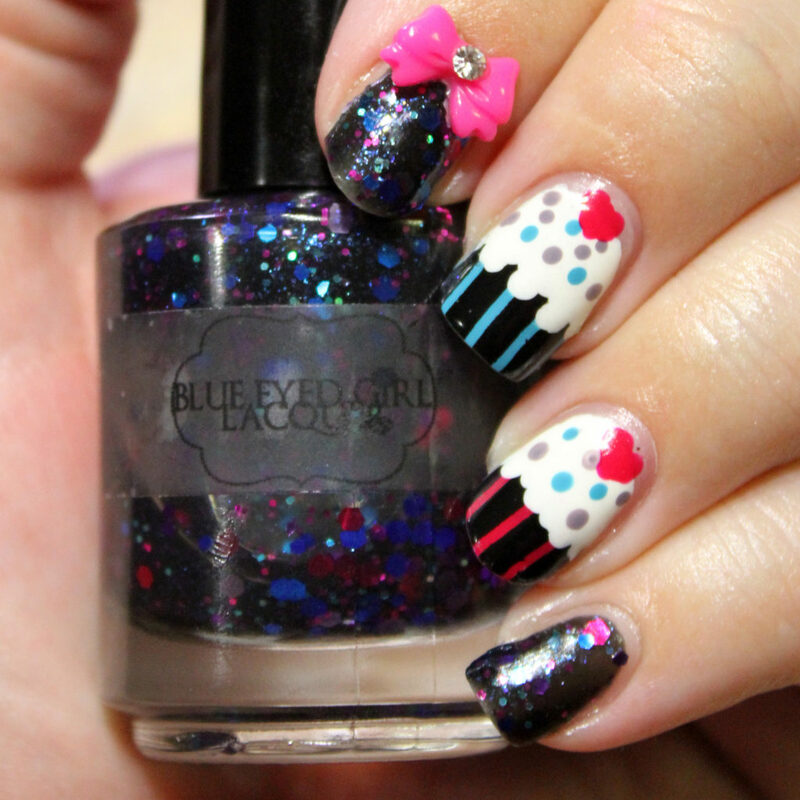 Other Blue-Eyed Girl Lacquers are sold in their online shop, though at publication time, they are taking a break.